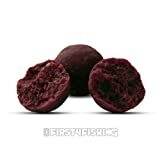 Highly digestible, Instant Carp Food performs brilliantly summer or winter, and uses our most effective attractor combinations from over 25 years commercial bait manufacture. This entry was posted in Carp Baits and tagged baits, Boilies, Carp, COARSE, Dips, Fishing, Food, Glug, Instant, Mistral, Range. Bookmark the permalink.